Mona Eltahawy’s second book The Seven Necessary Sins for Women and Girls is set to make its debut on September 17, 2019. Mona Eltahawy is an author, activist, and contributing columnist to the New York Times opinion pages. Her essays and op-eds have appeared in the Washington Post, The Guardian, Time, NBC, New York magazine among many others, and she has appeared as a guest commentator on MSNBC, the BBC, CNN, PBS, Al-Jazeera, NPR, and dozens of other television and radio networks. Mona Eltahawy came to the attention of many in the African literary community when she made a spectacular showing at the Ake Festival in Nigeria in 2015. At the time the outspoken social commentator had written the nonfiction gem that is Headscarves and Hymens: Why the Middle East Needs a Sexual Revolution. An international mandate for how girls and women can defy, disobey, and disrupt patriarchy everywhere. Feminist activist Mona Eltahawy knows that the patriarchy is alive and well, and she is fed the hell up. Sexually assaulted during hajj at the age of fifteen. Groped on the dance floor of a night club in Montreal at fifty. Countless other injustices in the years between. 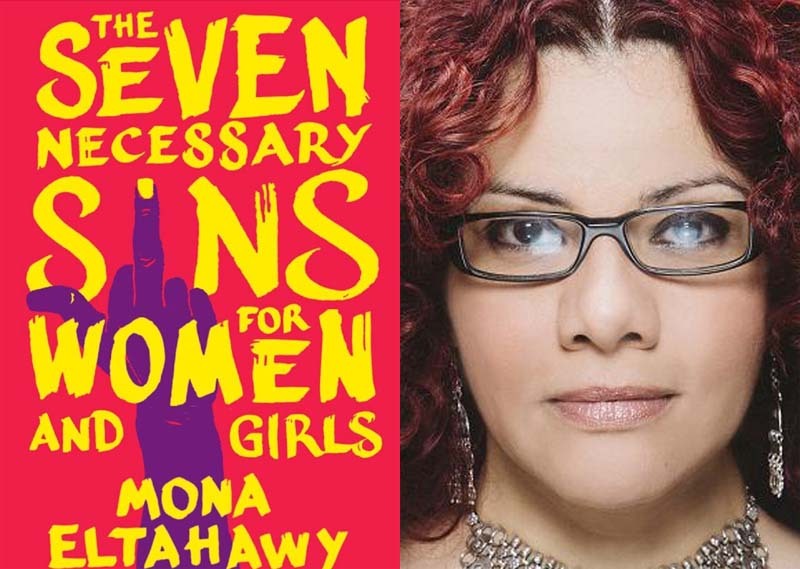 Seizing upon the energy of the #MeToo movement, Eltahawy advocates a muscular, out-loud approach to teaching girls and women to harness their power through what she calls the “seven necessary sins” women and girls are not supposed to do or supposed to want or supposed to be: angry, ambitious, profane, violent, attention-seeking, lustful, and powerful. All the necessary “sins” that girls and women require to erupt. Illuminating her call to action are stories of activists and ordinary women around the world – from South Africa to China, Nigeria to India, and Bosnia to Egypt – who are tapping into their inner fury, and crossing the lines of race, class, faith, and gender that make it so hard for marginalized women to be heard. Rather than teaching women and girls to survive the poisonous system they found themselves in, Eltahawy arms them to dismantle it. The book shall be out in September and we couldn’t recommend that you go out and look out for this title more. Here is where you get your copy. Or you can try here. Or even here. Previous Previous post: Novuyo Rosa Tshuma makes Dylan Thomas Prize 2019 longlist. Next Next post: Ope Adedeji is “The Short Story is Dead, Long Live the Short Story!” 2018 winner.